Online Application Details for Indian Army Recruitment of 42 Army Dental Corps is given below. 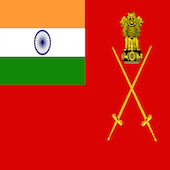 Application fees for the recruitment of Army Dental Corps for vacancies in Indian Army is Rs. 200/-. Application form and duly attested documents are to be sent to Director General Armed Forces Medical Services (DGAFMS/DENTAL-2), Room No 25, L-Block Ministry of Defence, New Delhi – 110001. In envelope super scribed with 'Application for the Post of Post Name'.